It was very busy Friday evening in Liverpool One with shoppers and revelers all enjoying the Street party atmosphere and entertainment. 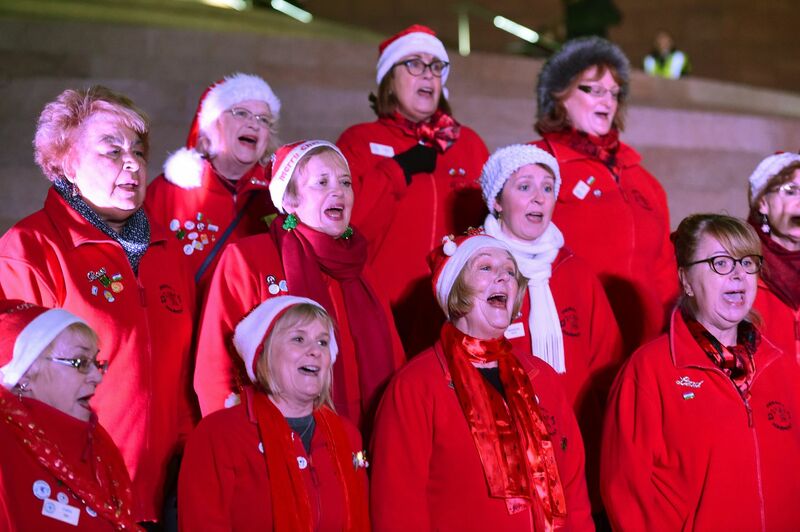 There were various acts entertaining the public around Liverpool One and Mersey Harmony sang on Sugar House steps, by John Lewis. Thankfully it wasn’t too chilly and so many people stopped to listen as we sang a selection of Christmas music and regular repertoire songs.